Archaeology is one of the most exciting and constantly evolving fields of study and research in the world. Whether you're a seasoned archaeologist or first time explorer, we provide trips that will stimulate your mind and satiate your curiosity. Jurassic Coast and Cornish tin mines - Visits Stonehenge and Bath's Roman Baths. 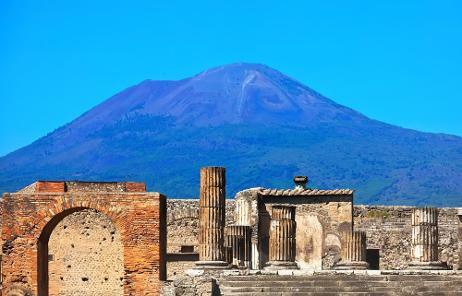 The Classic Volcanoes - The Roman ruins of Pompei, Herculaneum and the Temple of Serapsis are visited on this trip. A Geological Safari - we see rock engravings in the Twyfelfontein World Heritage Site. Castles and Dragons - visits Blaenavon World Heritage Site, Pontcysyllte Aqueduct World Heritage Site and the Castles and Town Walls of Edward in Gwynedd World World Heritage Site. It visit a prehistoric copper mine, a neolithic burial chamber and it is possible to see 14 castles.